We thoroughly enjoyed our experience. The service and food were excellent. We enjoyed the basement historical tour as well. Price was a little high but not unreasonable. We will definitely be back and will recommend it to friends. Took the entire family and we enjoyed a casual comfortable evening. The staff is very friendly, they made us feel right at home. Entrees are hearty old style, all were very good! Homemade desserts were even better! Off the beaten path in Hershey, this restaurant is certainly worth a try. We both had the filet mignon. Very, very tender and juicy. Excellent flavor. As were there on a Thursday evening, it was very quiet, which was nice. The owner gave us a tour of the basement tunnel after dinner and shared the history. Loved our visit. I have already recommended to a local friend who has not been here. Food was excellent. Waiter very friendly and met our needs promptly. Usually we truly enjoy dinner here. The one time we bring friends for a special celebration & it was a horrible experience! The bartender said it was "winter" & I don't know how to make a margarita! He made our lady friend one anyways & it was so bad. Next, we were seated & it took over 15 minutes for a server to attend to us. We waited & waited for our dinners to come for almost an hour & when they were served, the lobsters were dry and rubbery, the chicken parm was so over cooked, they covered it with a ton of cheese! One order wasn't even what was ordered & a server knocked over one of our drinks. Nothing was comped or discounted and all we got were apologies. Very disappointing evening from one of our fav places to go. Food was delicious, host and server were great, but something was wonky in the kitchen. We had arrived at 6, ordered at 6:15, and was near 7:30 until the food came out, making us a few minutes late for a show at the Hershey theater. No offer was made for a discount for the late meal. I think this is something that needs looked into. Had the food come out 45 minutes to an hour sooner, this would have been a five star experience across the board. My wife and I spent a great Valentine's date night @ the Union Canal House. The service, food, ambiance were very enjoyable. We also had a nice conversation with the owner after our meal. Don't forget to order the PB pie when you go! We really enjoyed the Union Canal House - waiter was attentive, and the food was great! They were not open went all that way and they were closed. Had a party from out of town and looked like a fool. the entire experience was outstanding. Very historic building and owner even gave us a tour of the basement. Waitress was very friendly and even arranged the tour. Food was fabulous. will go here again when in the area. Overall this is the worst place I have been to in years. There was a group of 12 ahead of us but it still took 1 3/4 hours for our entrees. Owner is stand-offish or rude when asked for better service. Entrees were bad, none of the 4 of us ate them. Steak was fantastic....hidden gem!! I loved the steak and the service was wonderful. More people need to know about this place!! We went out for anniversary and had a wonderful time. The food was excellent, the service was great, the atmosphere inviting, and we had a tour of the downstairs with the owner. It was a anniversary to remember. Very nicely decorated for the Holidays. Food nicely prepared and presented. Very friendly and accommodating staff. Hadn't been there since it was renovated after Hurricane Irene. They did a commendable job of upgrading the facility yet maintaining what I thought was authentic early 19th century feel. The menu certainly isn't 200 years old. Several selections - including the dessert tray caught my eye. Pretty sure I'll be back much sooner this time. We visited the Union Canal House when we were in town staying with family. The service was great, the food was very good, and the ambiance was cozy and quiet. We especially enjoyed the tour of the tunnel in the basement that was used in the 1700s during the French and Indian War as well as in the 1800s as part of the Underground Railroad. Walked in to the smell of dead fish that have been dead a loooong time. We left and cancelled reservations from car. The wait staff was friendly. Tried the recommended Delmonico steak. Medium rare ended up being very rare and only luke warm. Wait staff completely forgot appetizer that had been ordered. Food was average but not great. Underground tunnels and history were interesting. I booked for a group of three persons by mail but on ariving at the restaurant found the place closed for family reasons. Why not include information on unplanned closures like this in the internet booking procedure? Cancelled within 5 hours of reservation time by facility because of family emergency. There is no back up plan? I have been going many years and during the recent 1-2 years, service has been questionable. Not a good night for them. We were seated 45 minutes after our reservation. They were out of pasta, and mashed potatos. Substituted french fries for mashed and didn’t give us an option. The scallops were very good but the didn’t go well with fries. We have eaten there for years when we visit the area. I hope this was just a bad day. Not sure if we will try it again next year. Excellent service & excellent food. Couldn't have planned it any better. 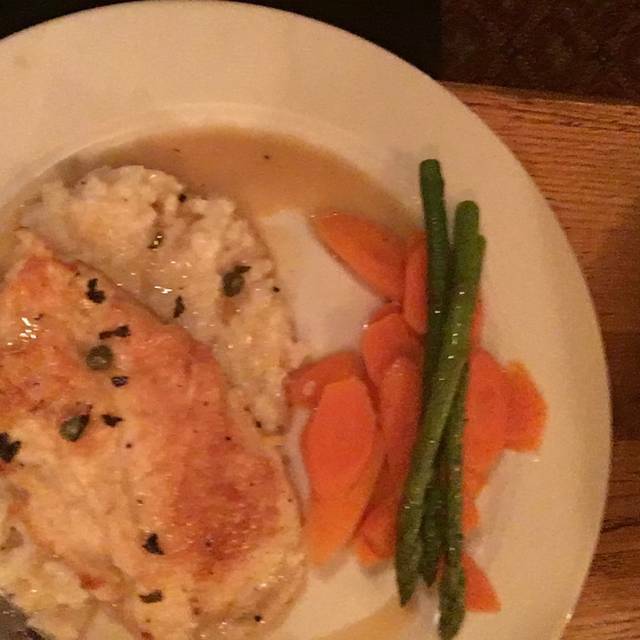 My friend and i really enjoyed our experience at The Union Canal House. The owner greeted us and we enjoyed chatting with her at various times throughout our visit. The apple whiskey sangria was excellent. The scallops wrapped in bacon were very good as were our entrees. My baked potato was a bit over cooked but other than that, everything was great. The owner gave us the tunnel tour and we were very impressed by the historical significance of this location. The food was pricey but for the overall experience, it was worth it. The restaurant smells so musty it is difficult to enjoy one’s meal. Food was good, but the dank smell is overwhelming. Even though most of the crew was out sick (only the chef and 1 waitress along with the physician/owner who really had no clue) we had a great time. We were in no hurry and really enjoyed a very leisurely visit with our friends. The food was wonderful. The building dates from the Revolutionary War, so was very interesting. They did a great job with a less than skeleton crew. Food overall was good. Everyone in our party was happy. My blackened Delmonico was done perfectly and quite tasty. The rest of the sides were so-so. Apps of Mushrooms and Scallops were good. Bit of a musty smell to the place which could have been caused by recently having the basement flooded. Hopefully that well be addressed and go away in time. Biggest issue was the bar selection. It was very limited despite being noted as full service. Wait staff had little knowledge of what they did have. We were the only diners that we saw when we left around 8:30 on a Friday evening which was surprising. All-in-all not a bad experience but will probably not go back as it was a little out of our way and we found nothing overly compelling to bring our group back. We arrived a little earlier than expected coming from the giant center. The place smells like a old basement, the service was lack luster, food order was put in wrong, our server left and didn’t come back for 20 mins, another server saw what was happening and saved our dinner by stepping into help out. I still tipped but not 15% due to a poor experience here. Our original server was not very concerned and seemed to just carry on like nothing was happening. Smh oh well at least now I know I won’t go back. We had a great time. Our server was amazing. So nice and informative. The restaurant has been open (with some breaks to address flood damage) since the 1700’s and has so much history. It’s very cozy. Great wine and beer list. I’d recommend. To friends. I like the twin lobster tails and beer selections on tap. We eat here about once every 2 months. Very good. We thoroughly enjoyed the evening! The food was excellent & service outstanding. We are looking forward to returning when we can tour the Tunnel! Love the history of the building. When I arrived on time for my reservation, there was a sign on the door saying the restaurant was closed for the next several days!!! Cozy older restaurant with good cocktails and some of the best steaks and filet we have ever had!! Traveled 2 1/2 hours from N.J. on a Friday night in traffic to visit family for weekend in Hershey. Had been to this historic restaurant before. Love the quiet atmosphere and food is delicious. Were seated near fireplace in dining room. Just wonderful We even asked to see the historic Tunnel that runs under the road across the street to building on the other side owner gave us insider look of the underground Space. Very intriguing a lovely evening.